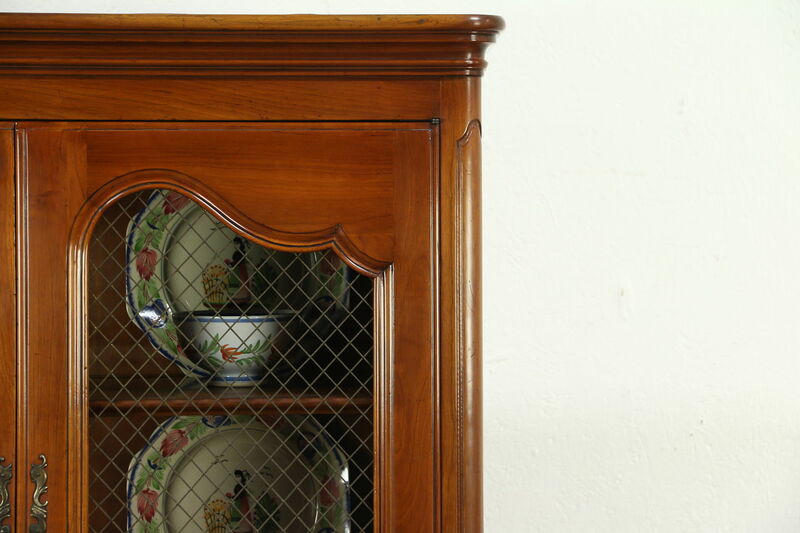 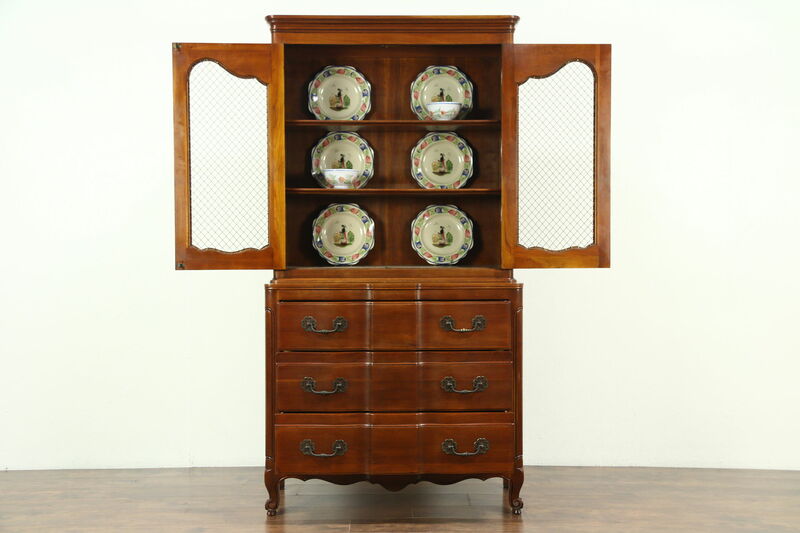 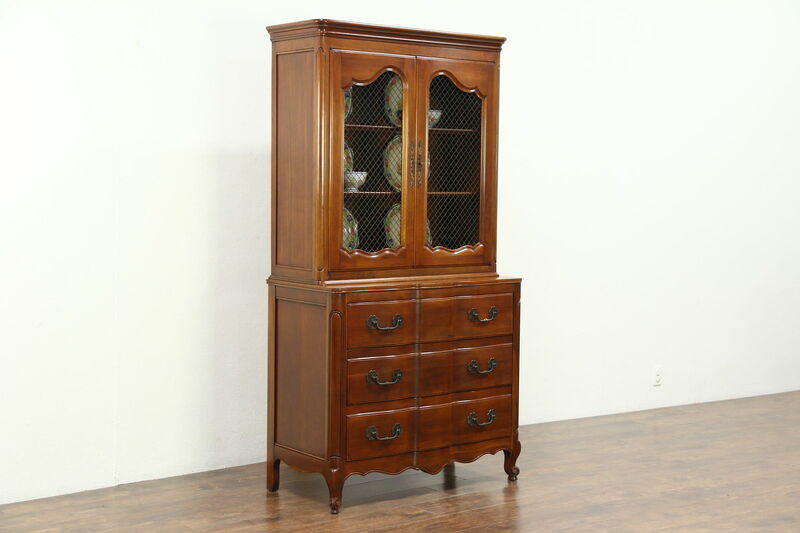 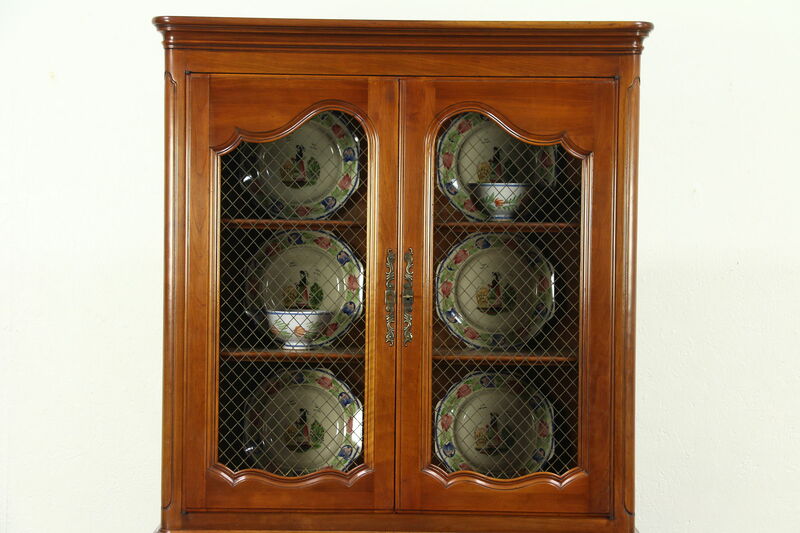 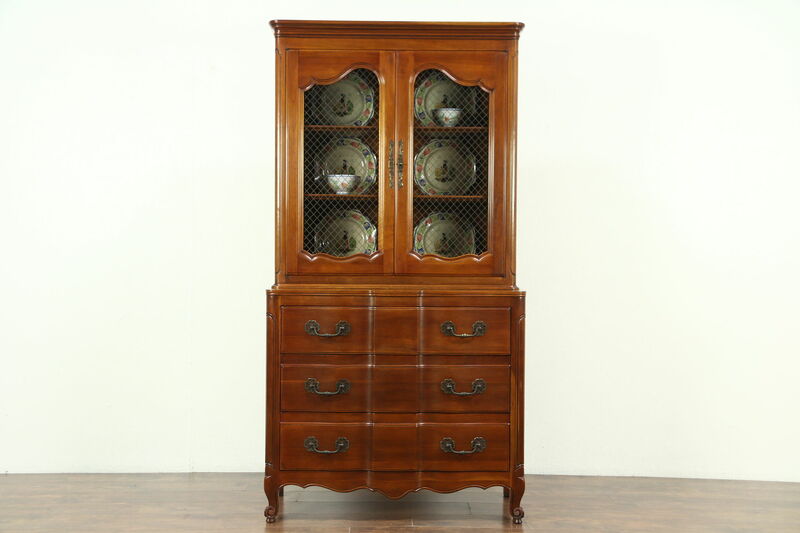 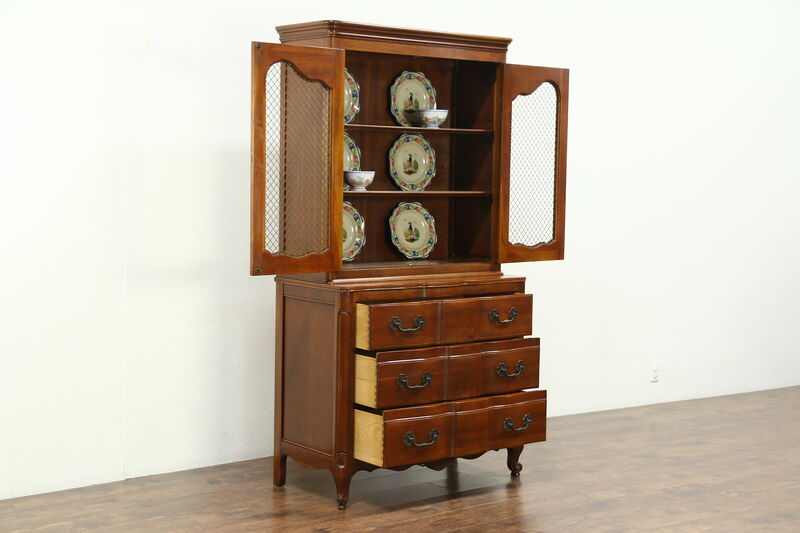 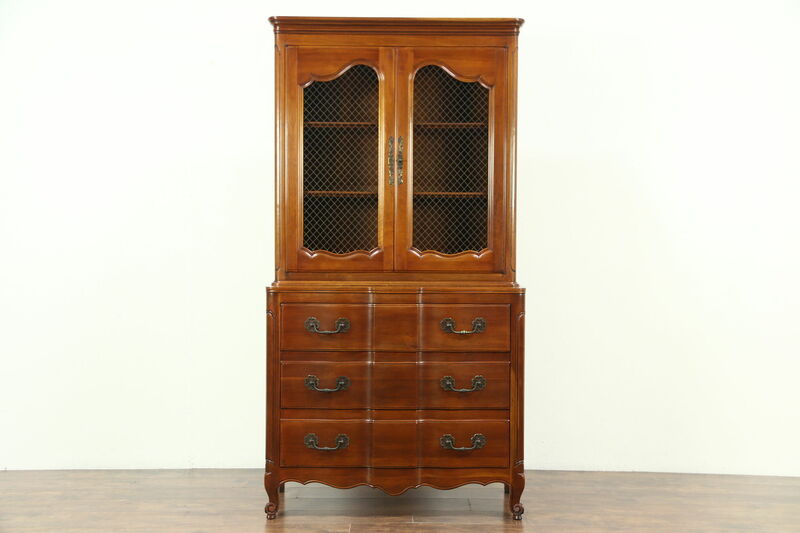 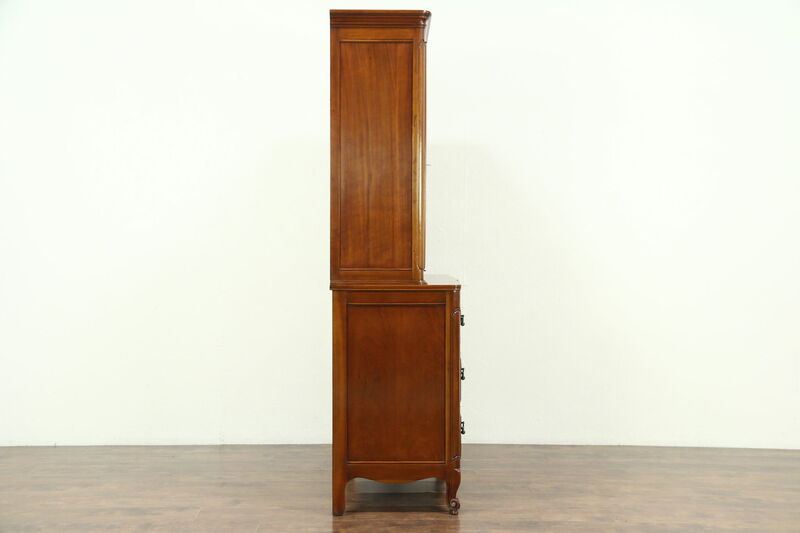 Carved of solid cherry in the 1950's, this china cabinet or bookcase is all original, signed by superior quality maker, "John Widdicomb." 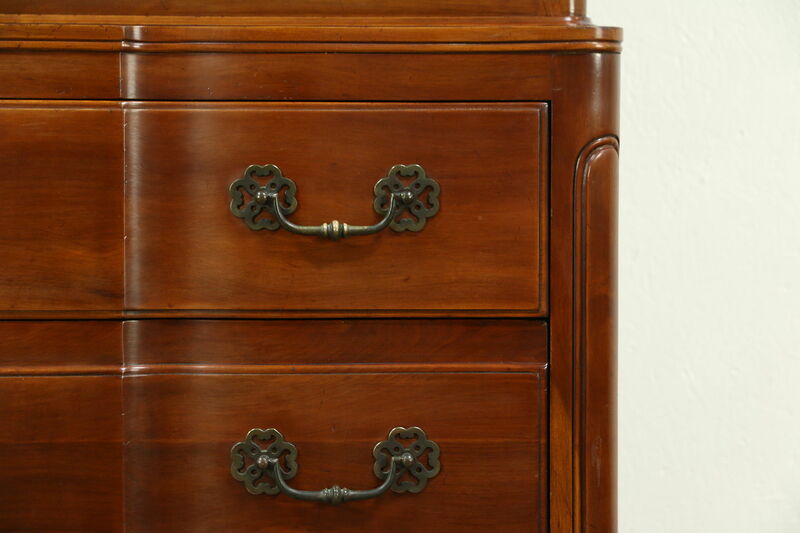 The original finish is in very fine condition with only minor mars or wear, see photos. 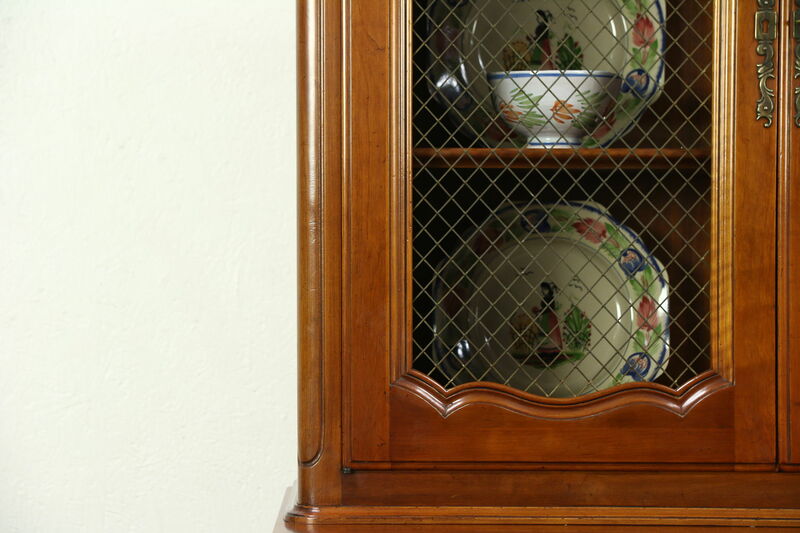 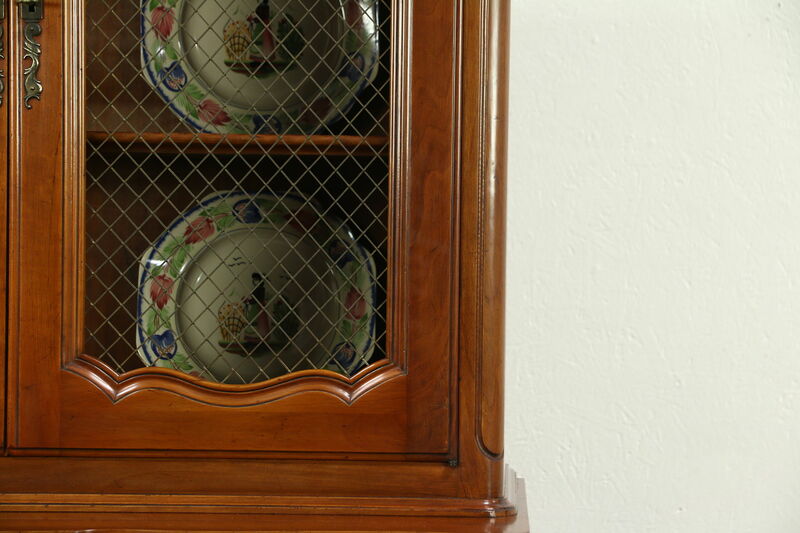 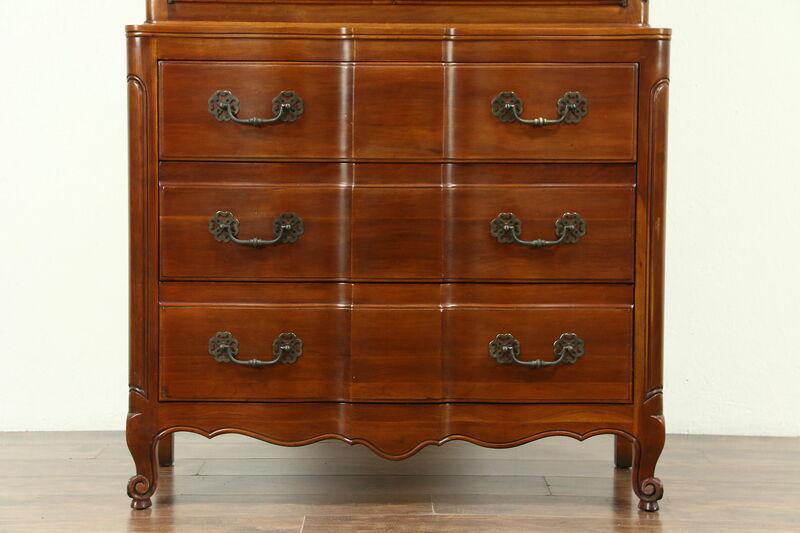 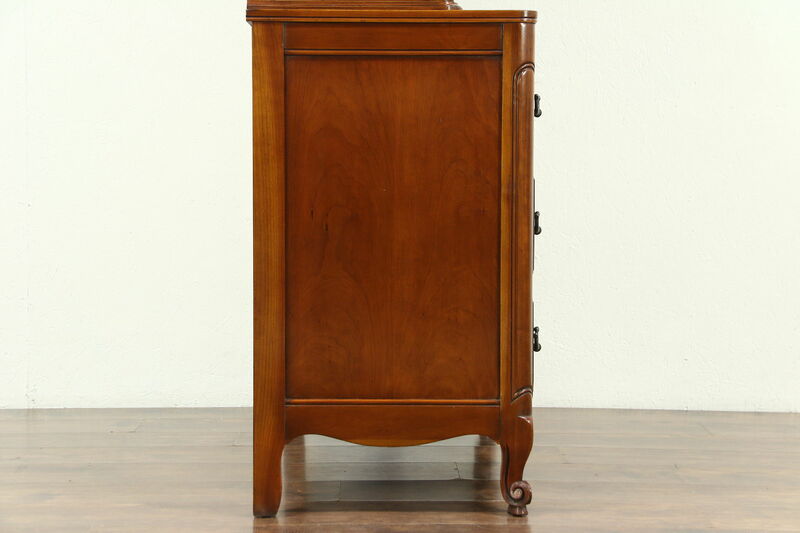 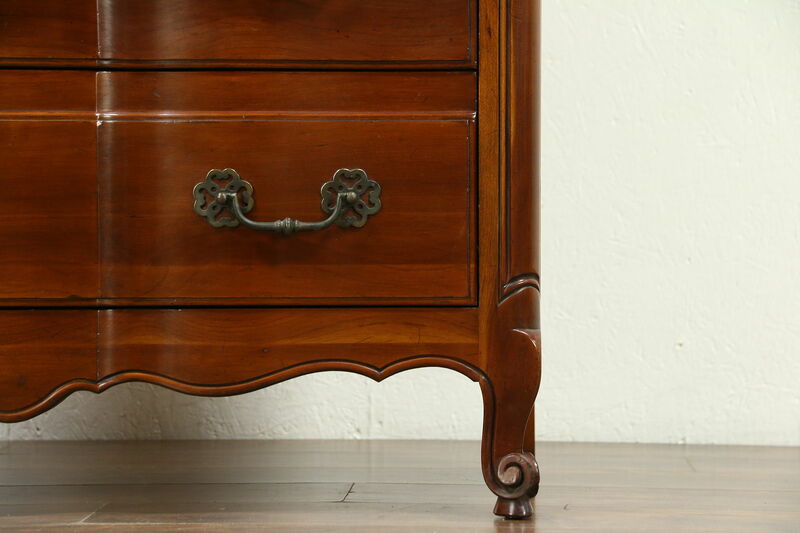 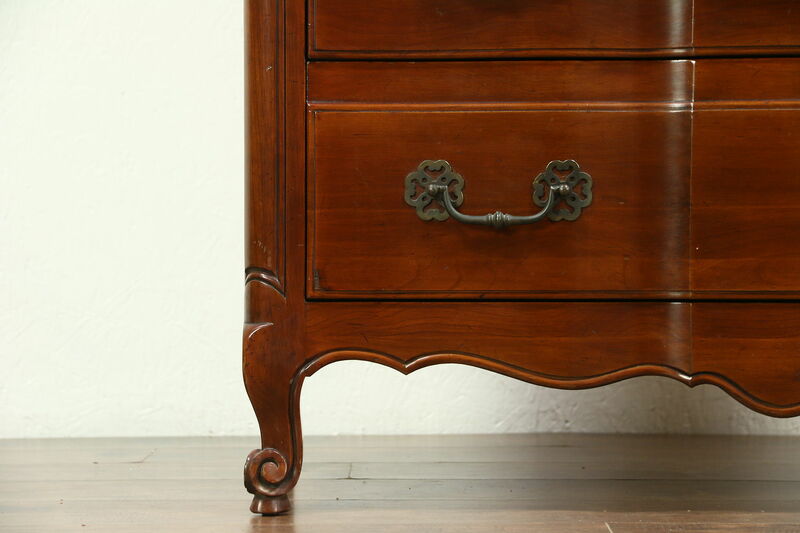 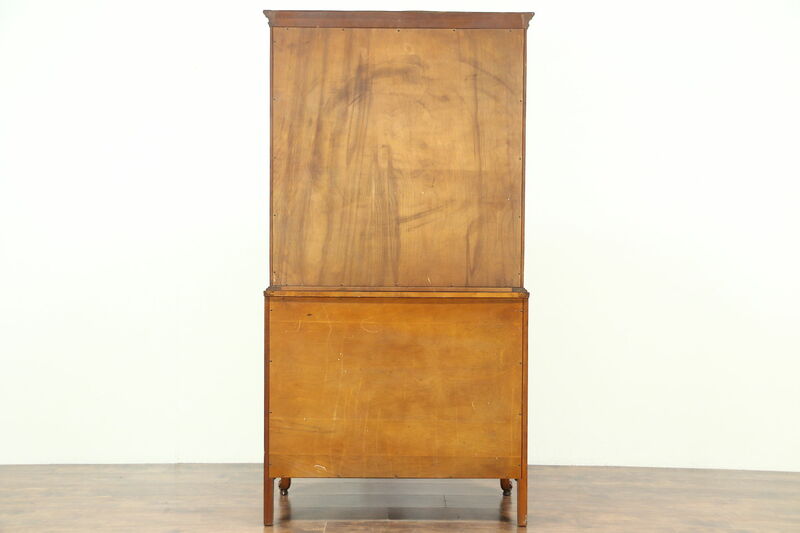 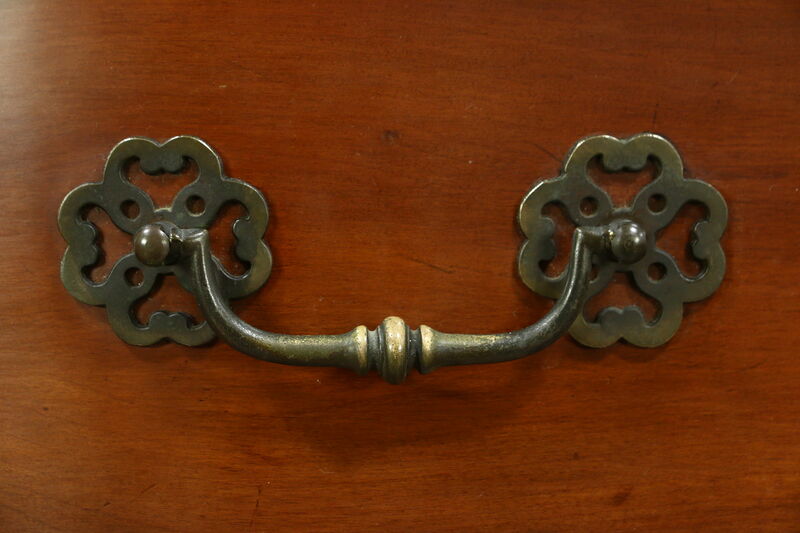 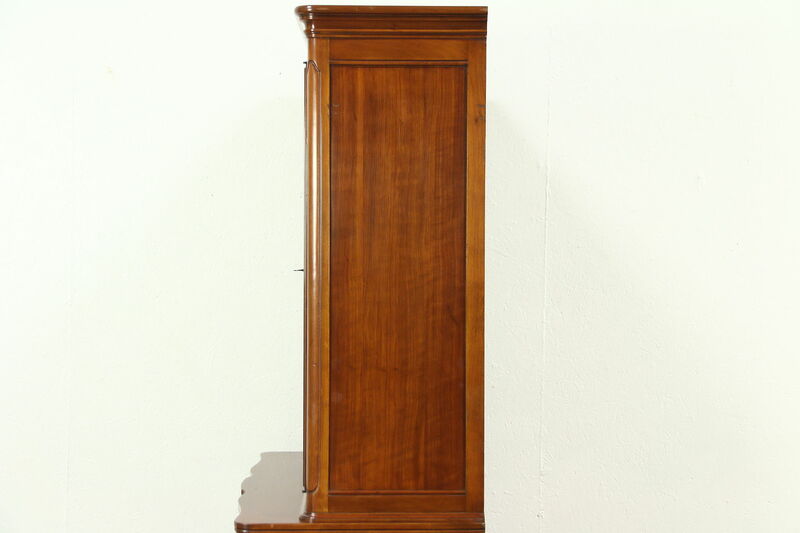 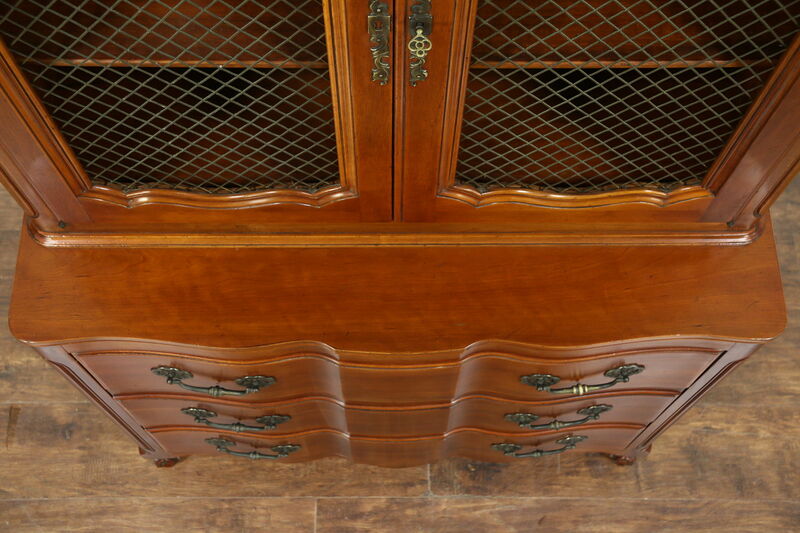 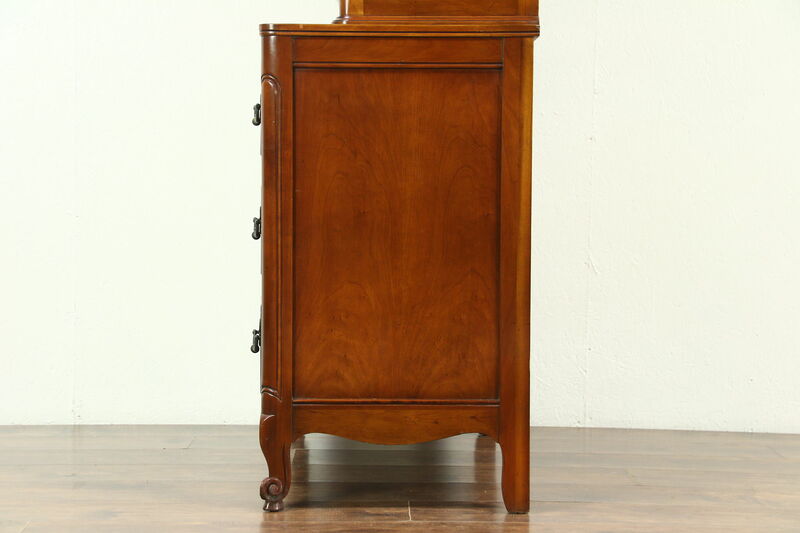 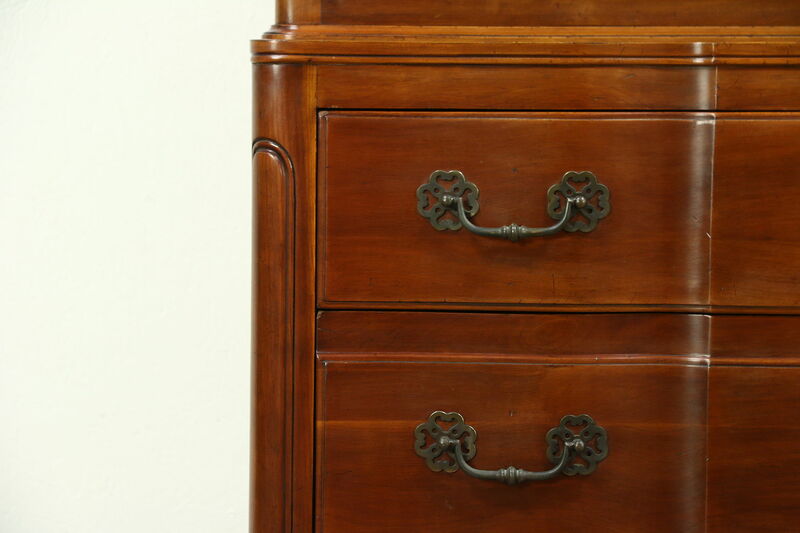 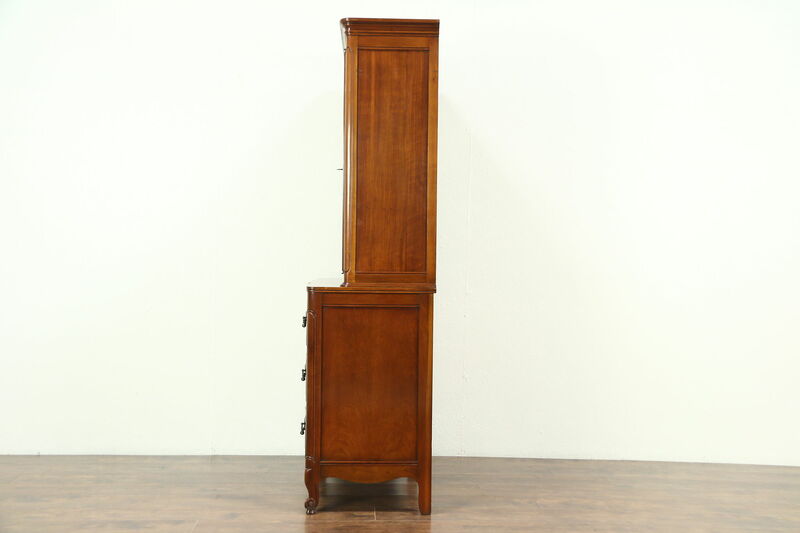 Doors have brass grillwork and a working lock on this American made vintage furniture. 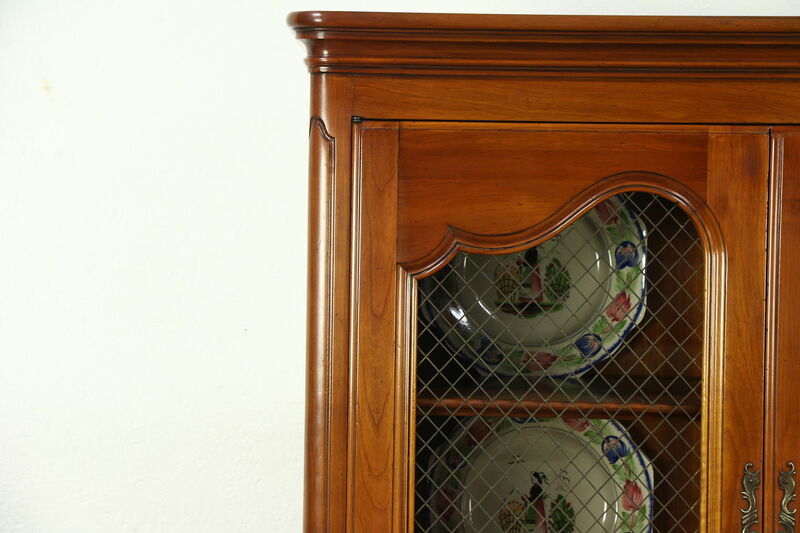 Upper shelves are adjustable and have grooves to display plates. 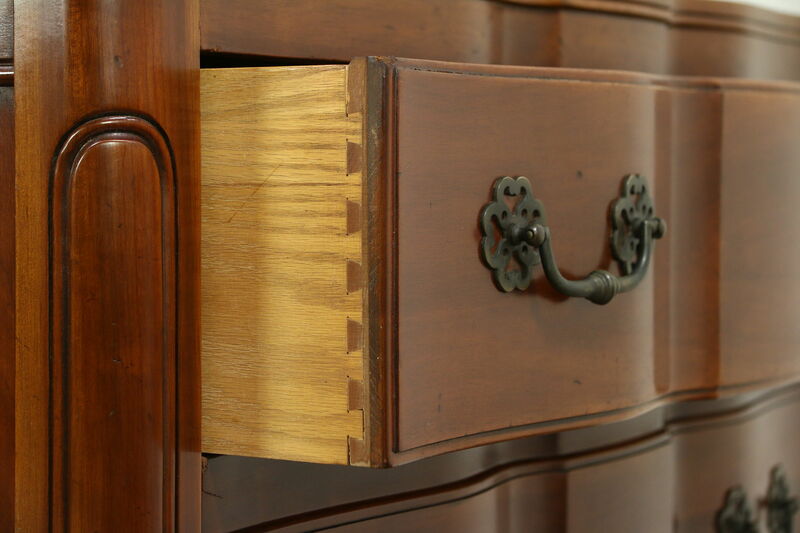 Drawers have solid oak sides with dovetailed joints and original hardware. 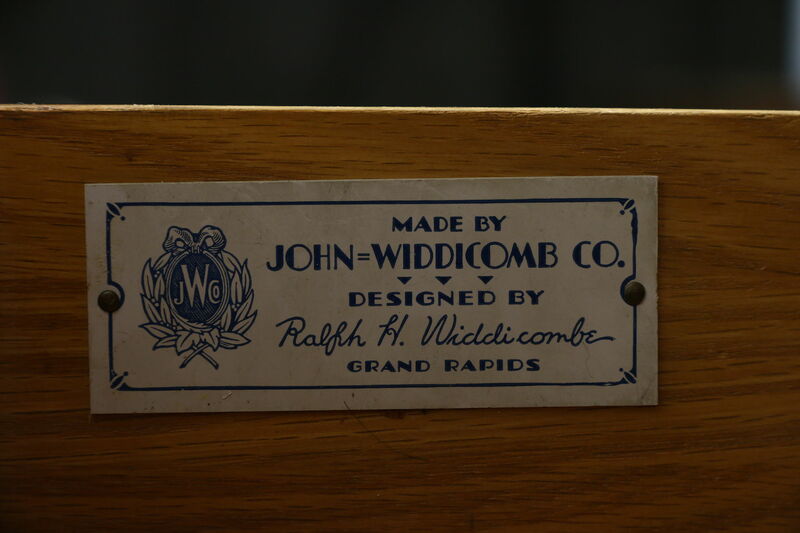 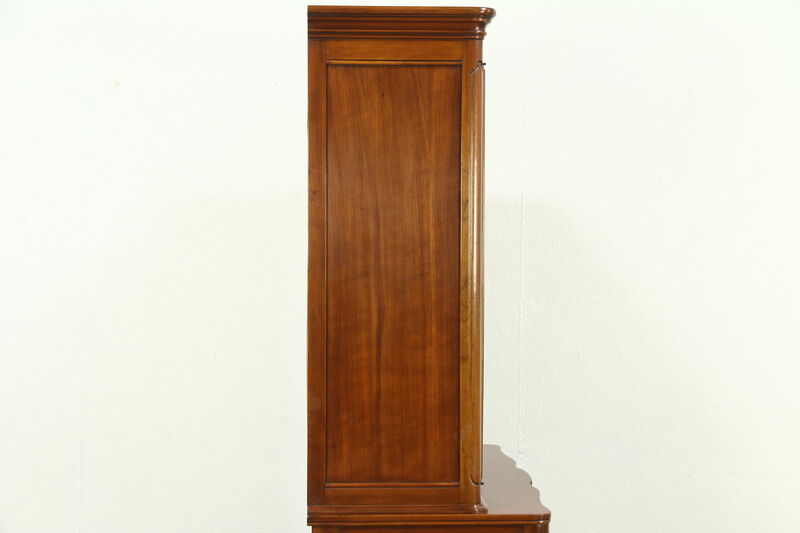 Measurements are 38 1/2" wide, 20" deep and 74 1/2" tall.